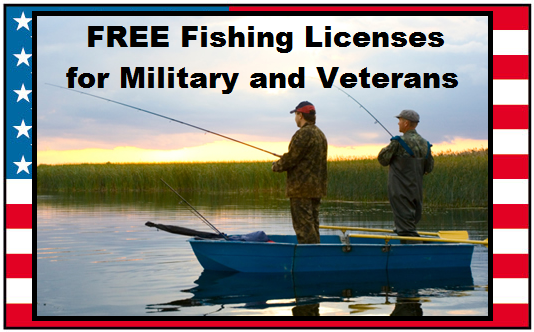 Military members can often get a free or discounted fishing license from their state. Easiest way to obtain a free license? Call your local Wal-Mart. They will tell you if your state offers the free (or discounted) license, what documentation they need, and what qualifications you must meet. Typically you'll need proof of military and proof of which state you are stationed in, or a state license. Many states do not require you to be a resident of that state. Or do a simple search on Google for military exemptions on fishing licenses in your state. Post if you have any info about free fishing licenses in your state!